The Ashaway Flex 21 badminton string features 2,000 multifilaments in central core providing enhanced resiliency and tough, braided wear layer that extends string life. The string offers an AFC coating that ensures easy stringing and superior durability. It is recommended for top amateur and professional players. The string features 0.75mm gauge and is 10 metres long. 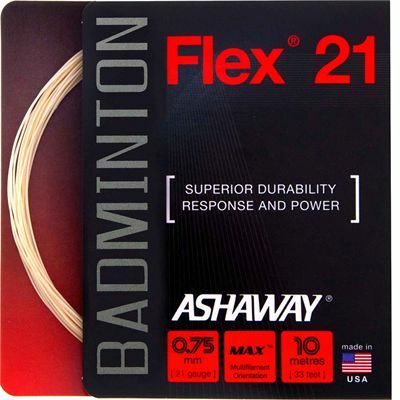 for submitting product review about Ashaway Flex 21 Badminton String - 10m set.